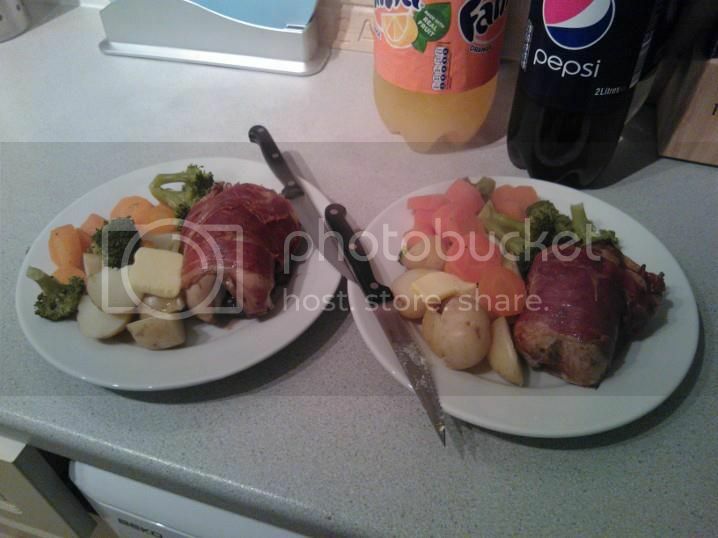 two big things that I just happen to have sat in my photo folder at this moment..
Partridge, rubbed in butter & wrapped in parma ham, served on a bed of new potatos, with appropriate vegtables. I know probably doesn't sound much, but never had partridge before so was quite a big experiment on my part, to prepare and cook. espcially as the partridge was from a friend who owns a farm and hadn't been plucked very well, so had to be cleaned up etc. A warning for people who wish to try iot, it's possibly the most "Gamey" thing I have ever eaten in my life, very very nice, but very very strong. And incase anyone is wondering about different work tops, the top one was done in the our holiday home, and the bottom one at home. Nettle wrote: It's rather shiny, did you overcook it? 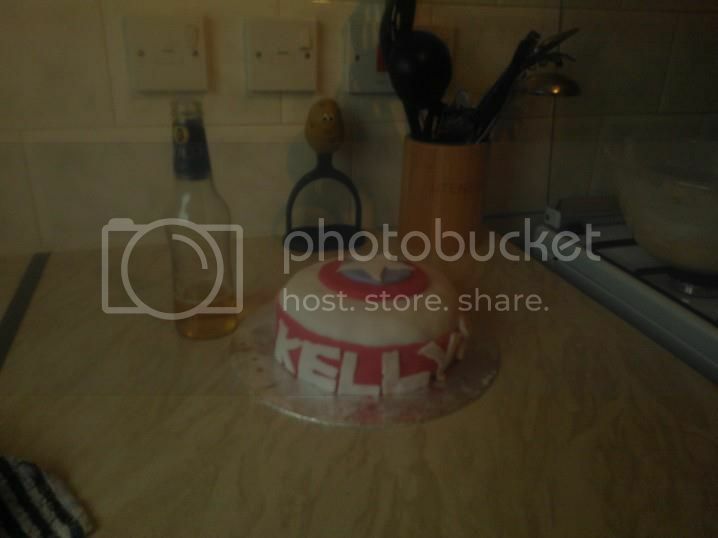 And I'm sure it was lovely, but with all that sweetcorn, that bowl of stuff looks more like what you see afterwards. That said, you can never cook too much spaghetti. Guh Studdarts post has made me hella hungry. 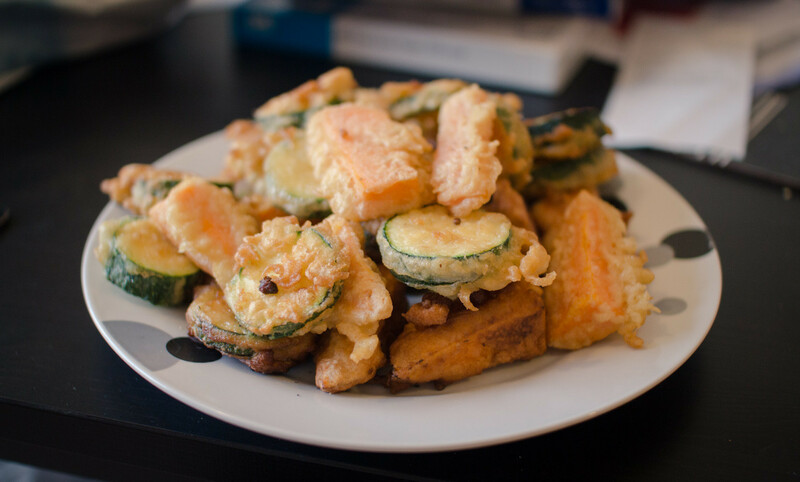 Here's some tempura I made at the weekend. I've made lots of batters but never a tempura. It went supprisingly well. Was delicious. 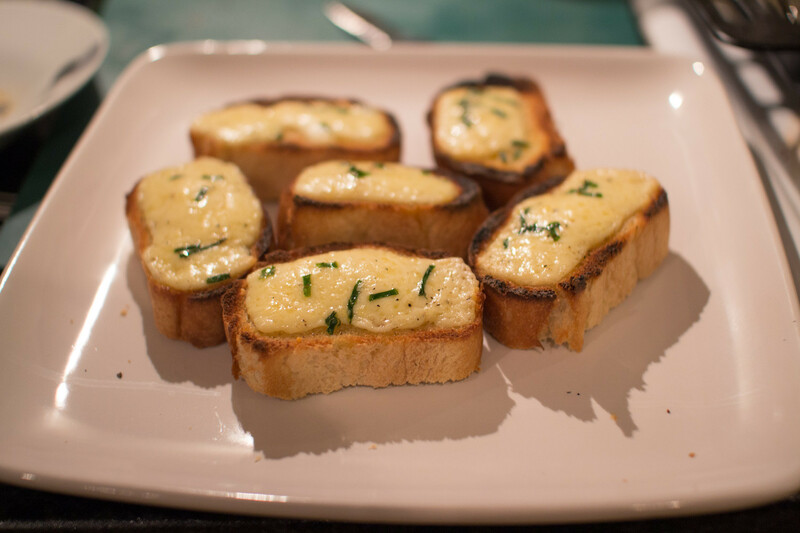 And some cheese on toast on my hand made bread. They all got eaten before i could take a photo but i made some brownies today. Amazing. So much choclate was used. 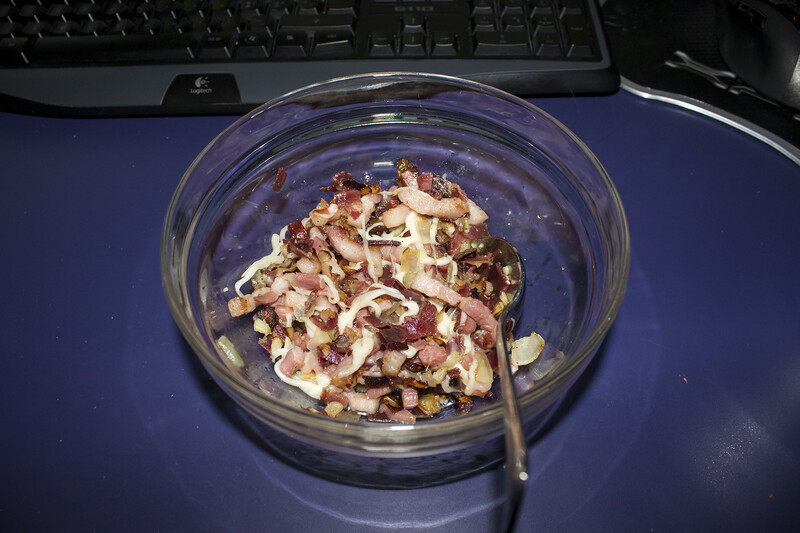 It's a mix of onion, garlic, bacon, dried and salted lamb, and cheese. It was quite tasty, though a bit too salty towards the end. I perfected my sour dough recipe. ITS SO TASTY. Today I've made some Rye bread! 50% Rye flour, 50% wheat. Pumpkin seeds, linseeds, honey, olive oil and my sour dough starter.